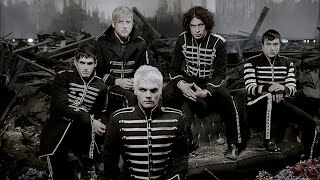 Official Music Video for My Chemical Romance's song, "Welcome To The Black Parade"
"Welcome to the Black Parade" ... is the first single and fifth track from My Chemical Romance's third studio album, The Black Parade. Watch the video or listen to My Chemical Romance – Welcome to the Black Parade for free. Welcome to the Black Parade appears on the album The Black Parade. Welcome To the Black Parade digital sheet music. Contains printable sheet music plus an interactive, downloadable digital sheet music file.